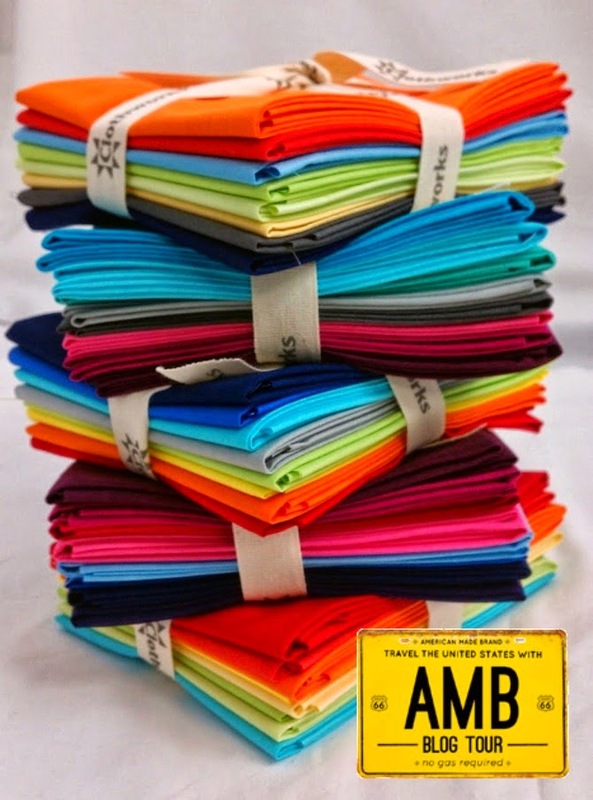 American Made Tour: Ohio license block and a giveaway! Welcome! Today is my stop on the American Made Brand Tour. I'm here to represent my home state of Ohio. If you are just joining in on the tour, one designer per state was asked to create a license plate themed quilt block that was inspired by their home state. The finished block must measure 6 1/2" x 12 1/2" and it must also include the name of the state as well. 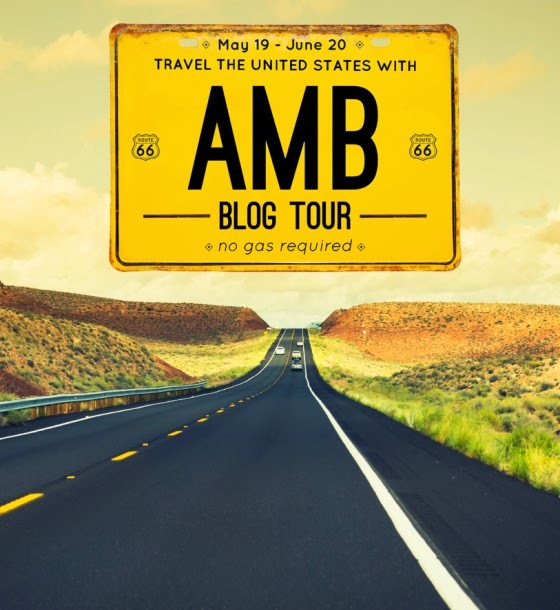 The blog tour began last week and runs for a few more weeks, so be sure to keep up with all of the great fun, designs, and giveaways. Without further adieu, here is my block! My block is a truncated Ohio Star quilt block, which is a traditional pattern that dates to the early 1800s. Here's how I made it. I chose three colors of American Made Brand fabric to work with: Cream, Dark Gold, and Light Gray. I knew that I wanted to incorporate an Ohio Star in my design somehow, so I drew a few ideas in my sketchbook. I decided to create a 12 1/2" square Ohio Star block as the basis of my design. To make this block, you'll need two 5 1/4" squares of Dark Gold, two 5 1/4" squares of Light Gray, one 4 1/2" square of Cream, and four 4 1/2" squares of Light Gray. Cut all four 5 1/4" squares along the diagonal, and then again along the other diagonal with a rotary cutter and straight edge. This will give you eight quarter square triangles of Dark Gold and Light Gray fabric. Lay them out in the following order, and sew one Gray to one Dark Gold, along the short edge of the triangle. Be careful not to pull or tug the fabrics at this point; as the bias edges of the fabric have been cut, they can easily distort if they are handled too much. Sew all seams with a 1/4" allowance. 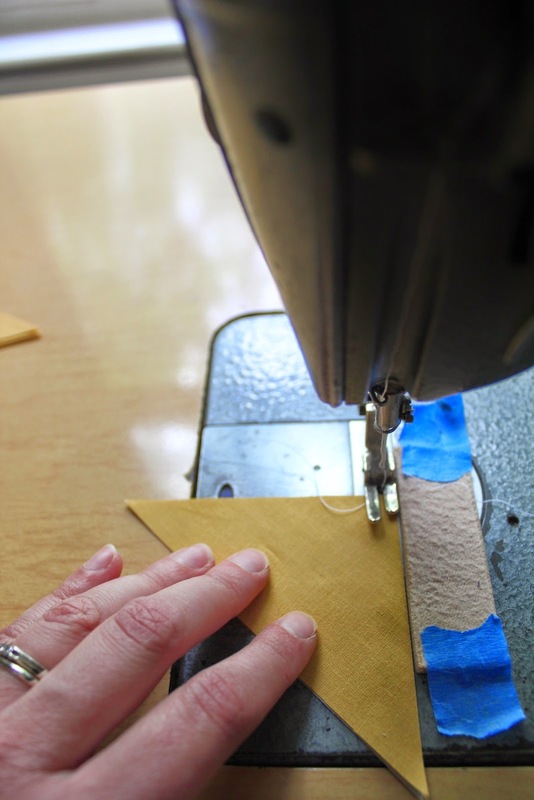 I use a piece of moleskin that I place 1/4" away from my needle as a sewing guide. Thanks again, Jill, for that tip! 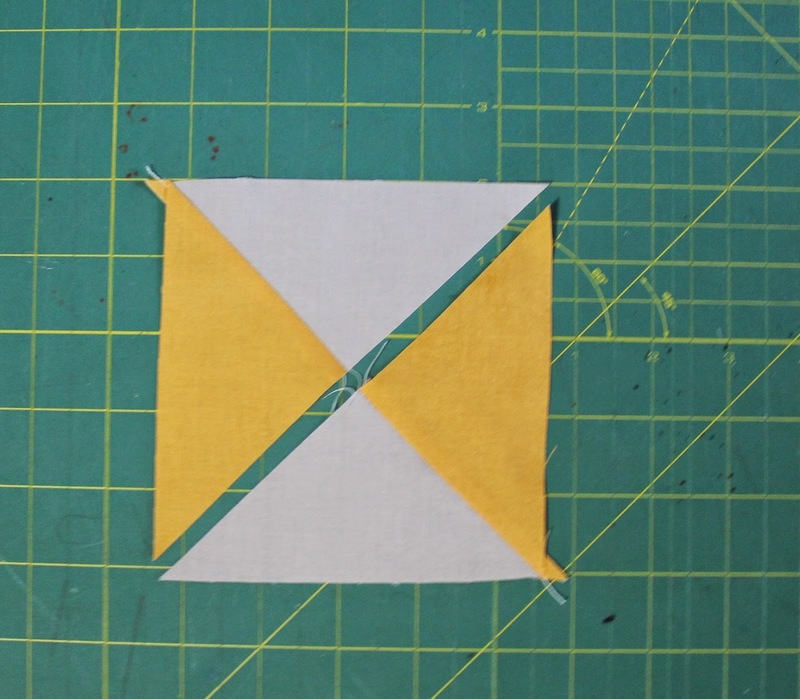 Once you have sewn the two units from the quarter square triangles, sew them together to create a complete quarter square triangle unit. Repeat these steps three more times to create a total of four quarter square triangle units, and arrange them with the rest of the squares as shown above. Sew the three rows together to finish the block. It should measure 12 1/2" square when constructed. The finished size of the license plate block needs to be 6 1/2" by 12 1/2" so I knew that I would need to cut some of it down. I used my 6 1/2" x 12 1/2" ruler as a guide to determine where I wanted to place my cutting lines. I moved the ruler around the block until I found an area that I wanted to remain after cutting it down. And I used some leftover yardage to cover up the areas that would be removed before I made my final decision. Once I picked where my cutting lines would be, I drew them on the block with a pencil and straight edge. Please note: do not cut the block down yet. I sketched out some hand lettering for the word Ohio on graph paper, and taped it to a window so I could easily transfer it to my quilt block. I then taped the block over the text and used a water soluble marker to trace the lettering on the block. I've posted my hand lettering here in case you'd like to use it as well. Next up is a little hand embroidery. I used Coats Dual Duty Button and Carpet thread for the hand stitching of the letters. I've used this thread a number of times for handwork and I really love it. I used a doubled strand of thread for this project. I placed my quilt block in a hoop and began stitching. Feel free to use any embroidery stitch that you'd like. I used a simple back stitch for mine. Once I was done stitching, I misted my text with a bit of water to dissolve the water soluble marker and lightly pressed the block with a hot iron. Then I cut the block to the 6 1/2" x 12 1/2" size required, using my cutting lines and a rotary cutter and straight edge. I had a lot of fun making this block, and now I want to do more hand stitching! Maybe I can once all of my deadlines for my book are finished. And now on to the giveaway! The wonderful folks at Clothworks have generously provided a beautiful fat quarter bundle of American Made Fabrics for one lucky winner. To enter, please leave a comment below and tell me a bit about your home state. 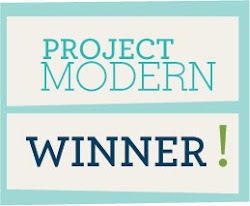 Be sure to leave your email address in the comment so I can notify you if you're the winner. I'll choose one winner randomly on June 6, 2014, and the contest is only open to residents of the US. Good luck! 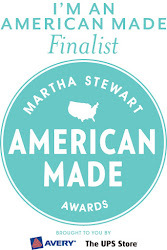 Be sure to visit all of the stops on the American Made Brand Tour!! Check out all 50 of the amazing designs!